As a healthcare professional you are more than likely going to need to do Continuous Professional Development, what this looks like for your specific profession may vary, from point approved sessions to more a self-assessed flexible approach. 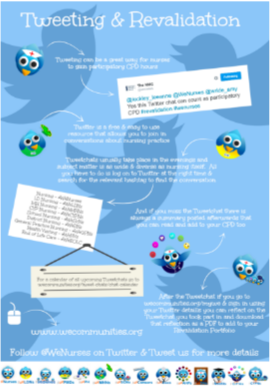 Tweetchats offer an opportunity to share best practice, learn together and take what we’ve learnt into practice. 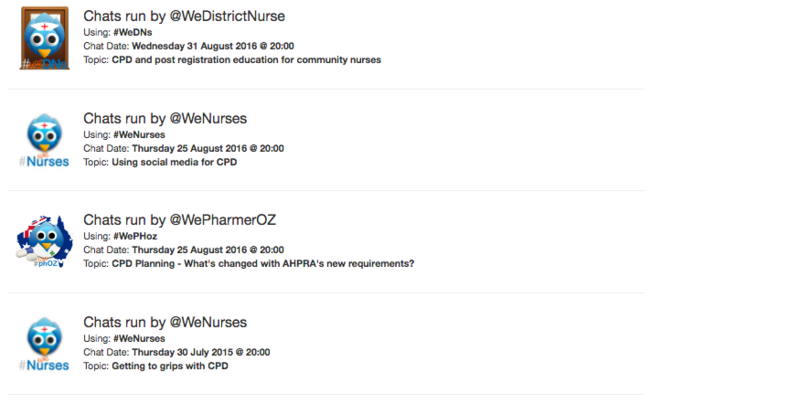 Capturing this process can be an excellent demonstration of CPD or Revalidation for nurses. This page collates the resources and tools that We have in place to support you, we hope it is useful. #MyWe is an free to use end-to-end tool that supports you through to a downloadable PDF to add to your CPD evidence. You can access #MyWe here - it contains all the archives WeCommunities chats (you don't to have been on the chat to use it).